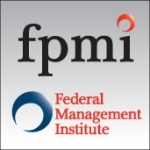 The Federal Management Institute is the lead sponsor for the 2011 FPMI Human Capital Management Conference and Expo being held June 13-16, 2011 at the JW Marriott Starr Pass Resort and Spa in Tucson, AZ. One conference covering today’s hot topics in LR, ER, HR and EEO. Visit http://www.fpmiconferences.com for more info!